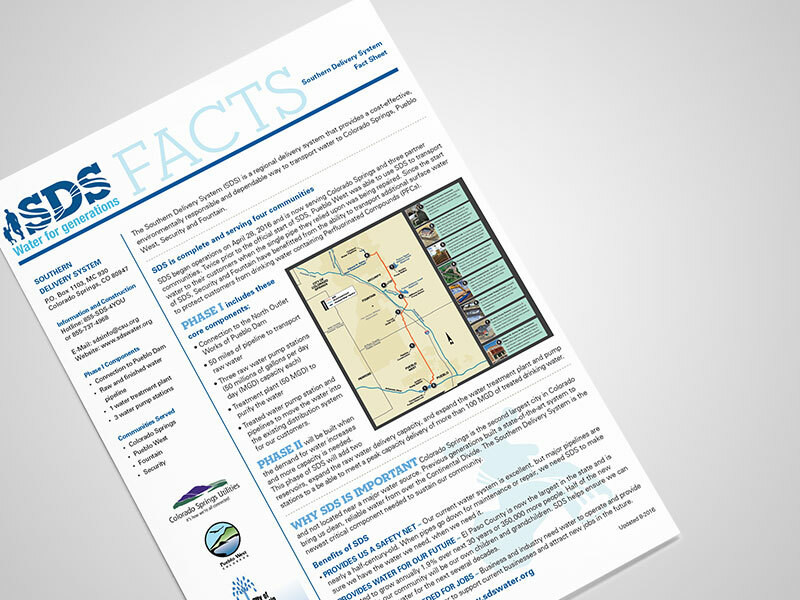 SDS Major Water Infrastructure Project - Sigler Communications, Inc.
Colorado Springs Utilities determined in 1996 a new major water infrastructure project would need to be built to supply water to its customers through the 21st century. The Southern Delivery System (SDS), named for the route it travels included 50 miles of pipe, three water pump stations and a water treatment plant. The $825 million project required more than 400 permits and approval, several years of water rate increases and the acquisition of 270 private-property parcels. It was the largest water project to be built in the western U.S. this decade. Sigler Communications was hired via competitive bid to support the Southern Delivery System in November 2007. We supported communications efforts related to SDS’ permitting and planning, land acquisition, rate case communications and project construction and start-up. We provide extensive support to SDS in the areas of strategic communications planning, stakeholder engagement, message development, branding, writing and graphic design. Because we have been involved in the project during a time of significant progress and major milestones, we have amassed a considerable amount of knowledge, background and insight on water and infrastructure issues. 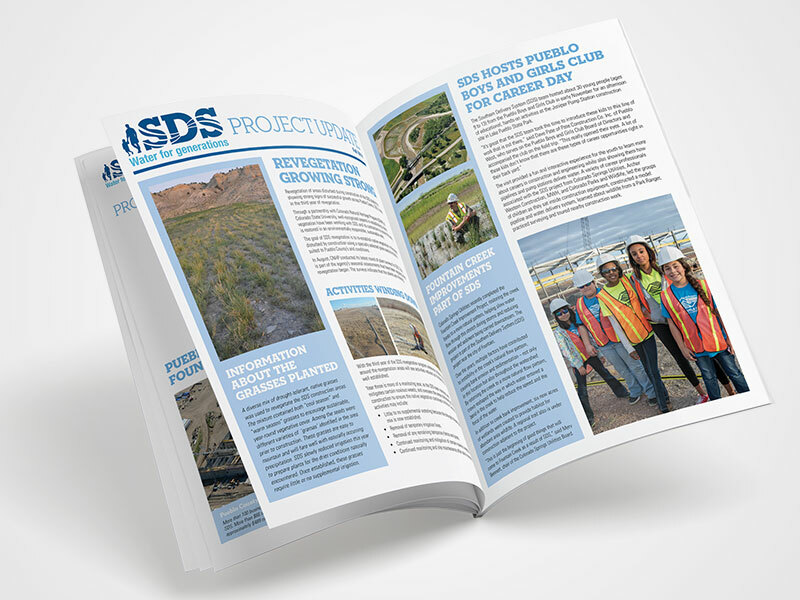 We have worked extensively with project engineers, architects, program managers, environmental managers, attorneys, and government relations personnel in telling the story of SDS. Creation and development of SDS branding materials (logo, tagline and graphic standards) that was cascaded into digital and print materials. 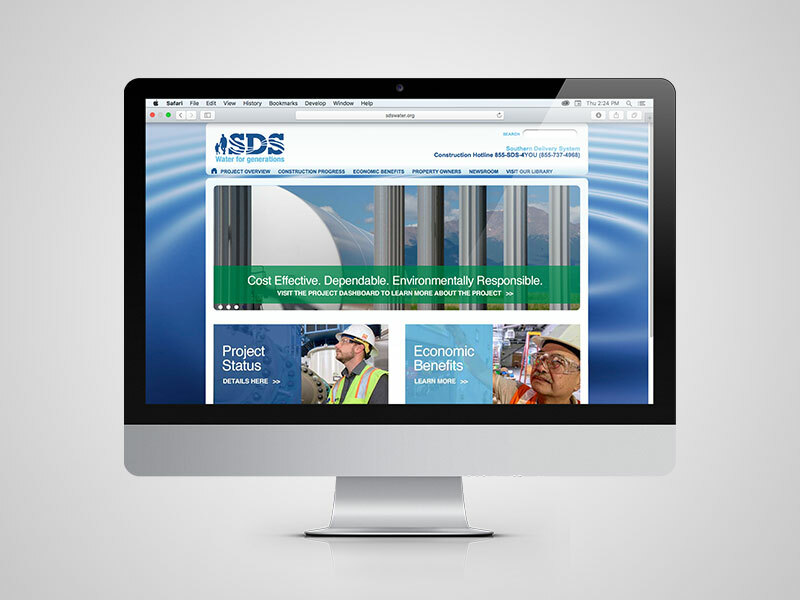 Development, writing, launch and management of the SDS website (www.SDSwater.org); updated site three times. 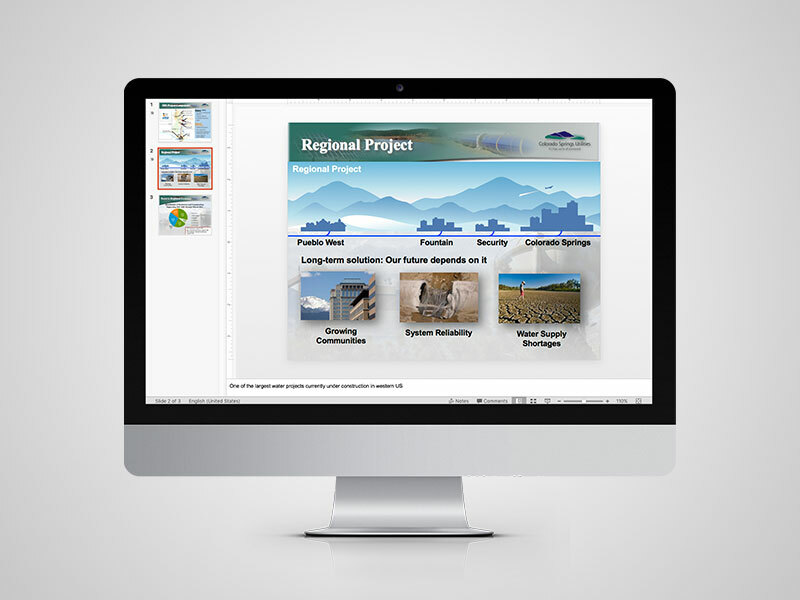 More than 300 PowerPoint presentations on dozens of topics to a variety of audiences. SDS was completed on time to the exact day projected for completion – April 28, 2016 and $160 million under budget. The successful communications efforts are credited with allowing the project to finish with stakeholder support and absent litigation. 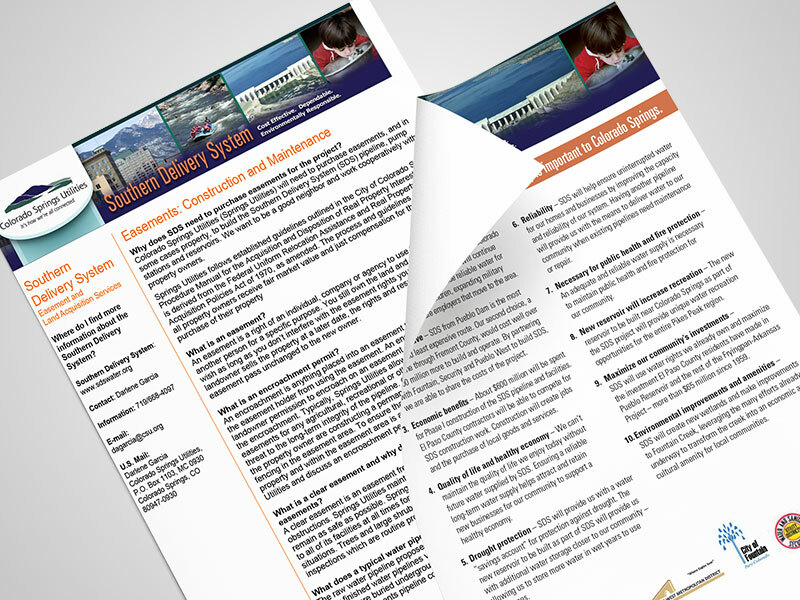 For the exemplary communications program, SDS received the AWWA Public Communications Achievement Award in 2014 and was identified by Water and Wastes Digest as one of the top projects in the nation. The project has also been recognized for excellence by Engineering News Record, Construction Management Association of America, Environmental Business Journal, and the American Public Works Association.